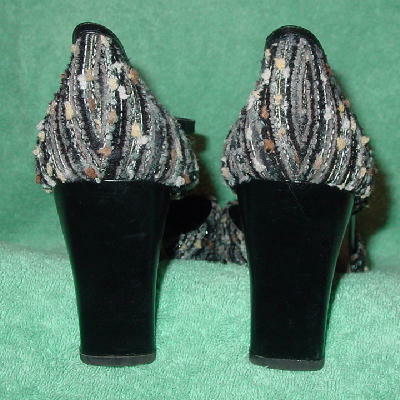 These fabric and leather heels are by Sacha London and were made in Spain. 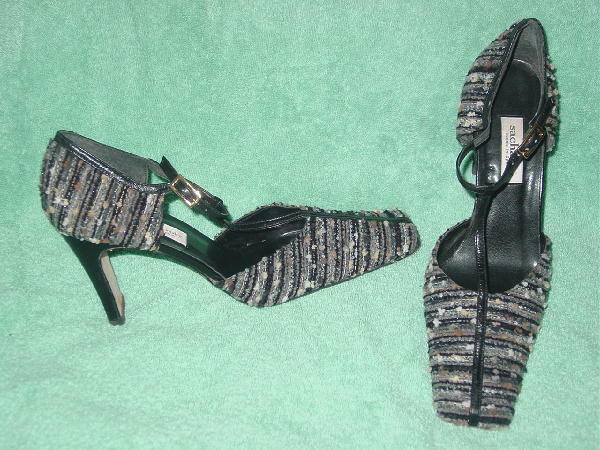 They have black leather heels, T straps, and insoles. The fabric has a nubby texture and is in black, bone, metallic black, offwhite, browns, and grays. She wore them with skirts, slacks, and a suit. After having a baby, she now wears an 11.